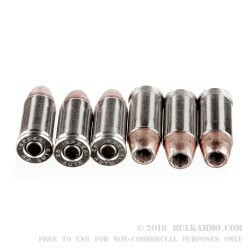 When shooting such small caliber cartridges like 32 ACP, there is often a concern that the short barrels that are common to the industry and the small diameter will make it impossible to achieve the normal expansion widths you can experience with larger calibers. There is a lot of truth to that notion; many rounds that use a hollow point perform not much better than those that do not. That is NOT the case with Speer Gold Dot. It is about the most proven projectile in existence. It’s been around a long time too, and that engineering has been around and performing for the same amount of time that the round has been out. 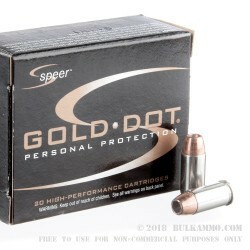 With no hesitation, the fans and testers of hollow points from the Gold Dot line of personal protection ammunition know that it performs when they need it most. It comes down to the reliability that Speer builds into all of their cartridges: a combination of hard data, collected through the many law enforcement contracts that they hold and solid engineering combined with premium components. Gold Dot is a round you can count on every time. 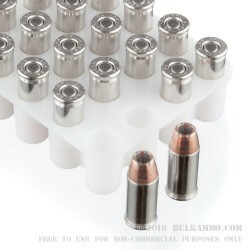 This ammunition is suitable in any .32 ACP/Auto firearm.